There are several web tools and applications for college students to help them perform better, help them in their studies and are useful in daily activities. This way it will increase their productivity and give them more time to do their best. This web tool is a famous university review site and an online resource for college news and information. This is a brainstorming tool and has an amazing collection for the writers. With this free tool one can take and organize the notes online. Bubbl.us is another brainstorming tool that lets the users create color coded mind maps. Some of the brainstorming tools are ThinkFold, FreeBrainstorm and FreeMind. This is an online dictionary and thesaurus. It also contains Spanish-English reference and medical reference. This is a great resource for anyone who wants to learn vocabulary. A great and interactive vocabulary learning tool and information about usage in daily life. This is a nifty tool where students can become aware of the origin of various phrases and words like metrosexual. This is an internet archive and a book resource containing more than 23 million books in different languages. This is for searching the college courses by school, course, career or class. Some of the other reference tools are Bartleby.com that includes various books, usage and style and Word Lingo which is an online translator that translates from english to another language. 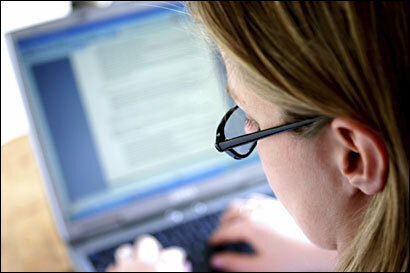 There are several web applications for taking notes online. Some of them are YouDraft, Stickies, JotCloud, NoteMesh, ShortText, NoteCentric, Yahoo! Notepad, etc. Evernote is a nifty application for taking notes and one can also take pictures of notes which are handwritten. It is also used for bookmarking web sites and one can use any platform whether Windows, Mac, or iPhone apple or Windows mobile, all synch with watch other. Wikipedia is a popular and famous tool for academic research. One can get any information and the history of anything and to brush up the facts. This web application for creating web based flash cards for studying and sharing them with peers. This web application contains notes for loads of books. They include materials for science, mathematics and test prep. College-Cram.com is another free online tools that contains plethora of study guides for business topics, language, math and science. Some of the calendar tools for organizing the class schedules, study time and other activities are 30 boxes, HipCal, GradeFix, Yahoo! Calendar, Google Calendar, Spongecell, etc. Web tools for calculations are CalcResult andE-Tutor Graphing Calculator. They require 100k traffic a month. That’s really hard for a relatively new website.